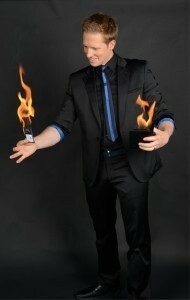 Looking for a Wedding Magician with Performances seen on BBC1 & LIVE on Channel 4?! 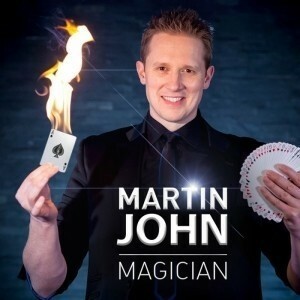 Magician Martin John is one of the UK’s most experienced Wedding Magicians, perfect for your Wedding Drinks Reception, Wedding Breakfast or Evening Reception entertainment! Martin will approach each group or table and perform magic with cards, coins, ropes, sponge balls, bank notes…even borrowed and everyday objects! 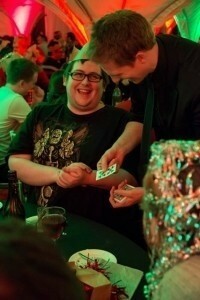 Signed cards appear in Martin’s pockets, impossibly into his wallet and impossibly change in the spectators hands. Coins fall UPWARDS, sponge rabbits have a mind of their own and borrowed notes change in value! If gasps, smiles & laughter sound appealing for your next event, Martin John is the perfect choice. 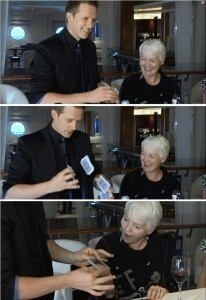 A world class group and table ho ... pping Close-up Magician for all corporate, weddings, birthday parties, Christmas / Xmas parties and private events with added charisma and personality! Although interested since a young child, it wasn’t until the age of 18 that Martin began learning the art of ‘Close-up Magic’. At the age of 21, Martin flew to Spain attempting to make a living in Magic, performing his close-up act in bars for tips. After two months of performing seven nights per week he had been noticed by the management of the largest variety show venue in Spain. There he became the resident magician & illusionist for five years performing close-up magic on spotlight, table to table in front of audiences of over 1000 nightly. Recognising his talent, he was offered a sp ... ot on the stage which he accepted by developing and performing a double-act dove and parrot magic act, followed by making a 16 metre long Lear Jet Aeroplane magically appear on the stage…now known as the World’s largest stage illusion. Gaining a large amount of experience in visual stage magic & illusions, Martin decided it was time to develop two full shows coupling visual magic with comedy, which proved a huge success. At the age of 25 he was approached by various cruise lines, where he baffled and brought laughter to audiences on over 100 cruise ship contracts for 5 years. "Martin was very professional and made the guests feel at ease. The guests were blown away and will be talking about the magic for some time!" "Martin surpassed our guests expectations. Next time we will book him for longer as the 2 hours didn't seem enough. Should anyone wish to book him, Martin is an excellent choice." 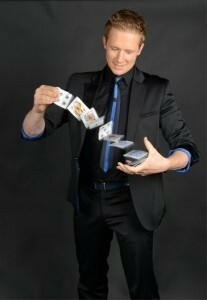 "We have had lots of Magicians in the past so the expectations were high. You certainly exceeded them, especially with the one where you made the coin levitate in your hands...you have to teach me! Thanks again Martin, we will recommend you." "I just wanted to thank you for performing at my party last night. Everyone loved your performance it was perfect!" 5 Years headlining over 100 of the World's largest and most prestigious Cruise Ships.